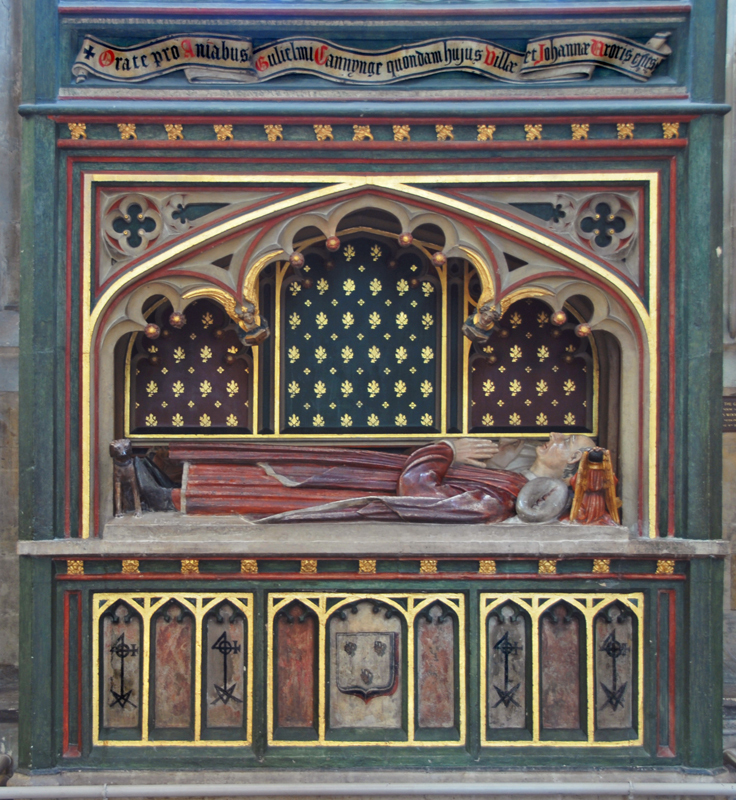 The tomb and effigy of William Canynges the Younger (1399 – 1474) lie in the south transept of the church. The elaborate coloured tomb demonstrates a successful, wealthy man, whilst the plain alabaster effigy is in priestly robes. One of Bristol’s most successful medieval merchants, by 1461 Canynges had a fleet of nine ships crewed by 800 sailors. In an extraordinary career he was an MP, five times Mayor of Bristol and, after the death of his wife, took holy orders as a priest. Canynges said his first Mass in St Mary Redcliffe on Whitsunday 17 May 1468. The scale and brilliance of the present church are largely due to this generous benefactor. To this day, one of the main charities that supports the care and embellishment of the church bears his name – the Canynges Society. You can find out more about the society and how to join here. The church has many merchant marks (medieval corporate logos) reminding us of the generosity of Canynges and others whose gifts enabled this wonderful building to be built to the glory of God. Read a detailed biography of Canynges here.